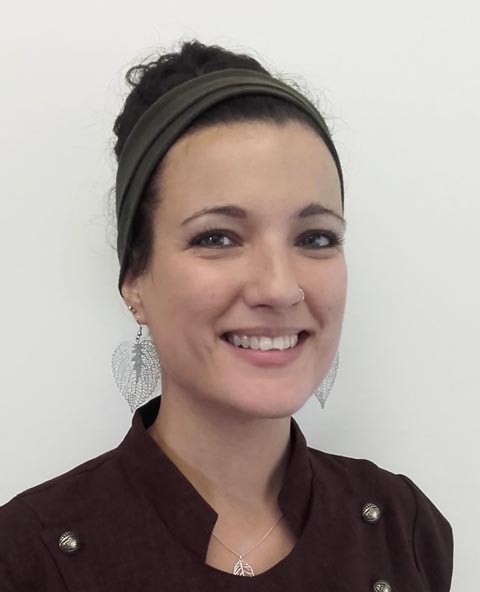 Eloïse qualified as therapist in both Swedish Massage and Indian Head Massage in 2012, and then went on to complete Reiki Level 1. 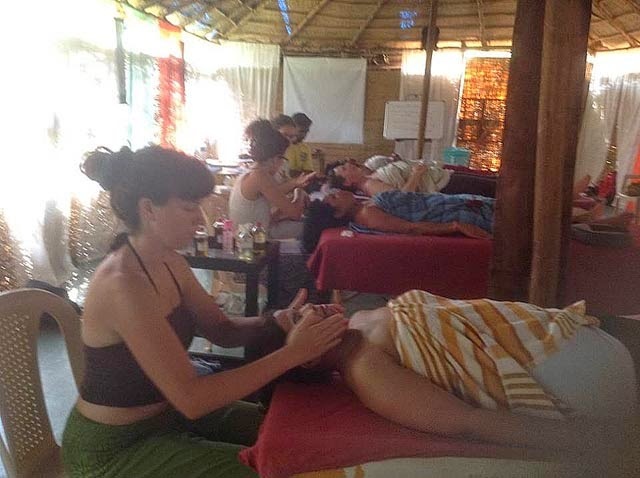 After this, she began studying Reflexology, which has been her favourite therapy to study and master. After treating 100 pairs of feet, and a year of studying, she passed her Reflexology Diploma in Summer 2014. Since then has been working from home to build up her experience, before joining Chew Valley Osteopathic & Therapies Practice in Autumn 2015. This treatment lasts between 45-60 minutes. Tori begins the treatment in the traditional way by applying gentle pressure to vital energy points in your hands and feet, which can increase your bodies energy flow and help your mind and body to relax for the massage. The massage then starts with the upper back, followed by the shoulders, arms, hands and neck to help relieve common areas of tension and help increase circulation. Next, the head and scalp are massaged; which can increase blood flow, stimulating hair growth, and oil the scalp. Lastly whilst the client is lying down, the face is lightly massaged and pressure points in the face are gently pressed which can increase blood and energy flow, and can leave you with a relaxed mind and glowing complexion. You will be seated for the most part of the treatment; forward facing on a purposely designed massage chair. You will need to remove your shoes and top for the massage, and it is advised that ladies also remove their bra. This is so that the upper back can be easily massaged, and oil does not get on any clothing. Towels and blankets are provided to ensure you remain warm and comfortable. Organic Oils are used on the back, head and face. This treatment lasts between 30 and 45 minutes. It begins with a gentle facial cleanse using Rose Water. Then a small amount of Apricot Kernel Oil is used to give the treatment, which involves warming and relaxing strokes, as well as pressure points, which when gently pressed can increase blood and energy flow, that can leave you with a relaxed mind and glowing complexion. The neck and top of shoulders are also massaged and so it is advised that the client remove their top half clothing for the treatment. Towels and blankets are provided to ensure you remain warm and comfortable. You will be lying down for the entire treatment. A short consultation will take place before the massage begins and possible side effects will be discussed. This will give you the opportunity to ask any questions you may have. Aftercare advice is also given so that you will get the most out of your massage and hopefully continue to feel the benefits long after you get home. All oils used are Organic. WHAT ARE THE POSSIBLE BENEFITS OF THE TREATMENTS? Can bring relief of built up tension that can often result in headaches, migraines, neck and back pain. Can provide short term relief from stress and promote relaxation. Can bring short term relief of symptoms of anxiety and depression. May bring short term relief of sleeplessness, restlessness and insomnia. Some patients report feeling energised for a short while after treatment. Can help relieve Mandibular Joint (Jaw) Tension. Can increase feelings of peace, relaxation and well being. WHAT COULD PREVENT ME FROM HAVING A MASSAGE? Reflexology is based on the principle that there are reflex points on the feet that correspond to every organ, gland and part of the body. For example, the toes represent the head and the ball of the foot represents the chest and lung region. During the first session, extra time is given for a thorough consultation which includes health, diet and lifestyle. The treatment begins with general warm up strokes which will help encourage the body to relax, followed by a precise thumb and finger walking technique aimed at applying pressure to every reflex area on the top and bottom of the foot. Both feet are given the treatment to assimilate a whole body treatment, the left foot represents the left side of the body and the right foot represents the right side of the body. A full foot reflexology treatment will generally last 45-50 minutes. Reflexology uses a firm pressure and therefore is not a ticklish treatment. If a particular part of the body is out of balance, the corresponding reflex may feel tender or sore during the treatment. It is important that you let the practitioner know so that steps may be taken to rectify this discomfort. Generally people describe any areas of tenderness as a ‘sweet ache’ which is both bearable and beneficial. After the initial treatment, return visits will vary depending on client needs. The treatment plan and presenting condition will play a part in this. It is a recommended practice that after a reflexology treatment, plenty of water should be drunk to aid the balancing of the body's natural systems.